Daniel wanders the park trying to find the answer to the question, "What is poetry?" His interactions with the insects and animals at the park help him find a poem and understand that poetry is everywhere. The illustrations are gorgeous, as is Daniel's poem. This is a sweet story with a gentle reminder to notice the world around us. 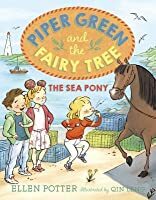 In the third book in the Piper Green series, Piper discovers a whistle in the Fairy Tree, the maple tree in her yard where she finds treasures left by fairies. The whistle gets her in some trouble, but also helps her attract a friend, a seal pup swimming alongside the lobster boat from which she is helping her dad. In the end, the whistle turns out to be a not-so-bad treasure after all. As in the previous books in the series, Piper Green is adventurous, spunky, and funny. The story, set in the imagined world of Peek-a-Boo Island, helps readers get a sense of life on a small fishing island. 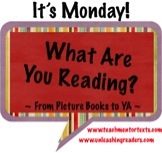 This is a fun and quirky series that is appropriate for transitional readers. Dr. Kitty Cat and his mouse assistant take care of hurt and sick animals. When they get a call that Posy the Puppy has been hurt they must find out what's wrong and help her get better. This is a short read with illustrations on almost every page which readers who are transitioning to chapter books may find appealing. Those readers who love animals may find this series interesting for its storyline and the illustrations which are a combination of animal photos and drawings. Yasmin loves books and has made it a goal to read one every single day. Book Uncle, a retired teacher who operates a free lending library on the corner of the street in India where she lives, always has a book that's just right for her. When Book Uncle is forced to close his lending library, Yasmin develops a plan along with her community to find a way to get the library back in business. Yasmin and her friends learn the power of action and the importance of doing good for others. There is lots of action and prehistoric fun in this graphic novel. Dave is a caveboy who wants to invent the thing everyone needs like his family members before him did, but his father insists he should be a hunter. Dave does not seem to be good at either, inventing or hunting, but he must show he can survive being in the wild. Dave and his friends have an adventure that will capture readers' imaginations and make them laugh. From the first page of this book, the reader knows the story does not have a happy ending. In spite of the sadness that is sure to come, the story is an engaging read of a boy with a new dog who is beginning the school year at a new school where his dad has become the assistant principal. School has never been easy for Timminy and that proves to be true at his new school, as well. Timminy's story is one of finding friendship and overcoming obstacles. For me, the thing I liked most about the book was how each chapter ended with a secret, or life lesson, Timminy's dog, Maxi, helped him learn. 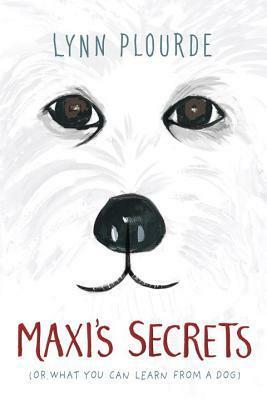 I just finished Maxi's Secrets yesterday and loved it so much. It's a book I think we'll have a lot of students reading! Really enjoy the Piper Green series and Daniel Finds a Poem. I haven't read the Dr. Kitty Cat series, but my students love them! Something about them appeals to young readers! 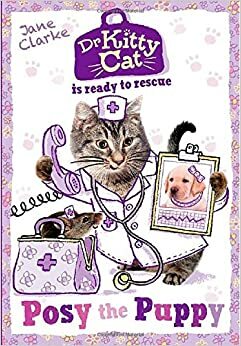 I'll definitely have to get more of the Dr. Kitty Cat books for my students. I thought the illustrations were adorable. I think the story parallels the kind of imaginative stories kids that age come up with. Piper Green and Dr. Kitty Cat are such great early readers series, and I may have to take a look at Book Uncle and Me because I love Uma Krishnaswami's work. It might be a good way to lure reluctant readers into multicultural books! I was not familiar with Uma Krishnaswami before. I'm going to check out her other works. I'll have to find some of those early reader series for my older granddaughter who is transitioning & I imagine will love those. Maxi's Secrets sounds so dear. I've heard about it before, but you've made me want to read it even more. Thanks, Lisa. Maxi's Secrets is just wonderful. It was so much more than just a dog story. I was pleasantly surprised. Book Uncle and Me sounds beautiful and inspiring, really interested in picking that one up, thanks for sharing! It's an important message and I liked that it gave insight into another culture. I am also a Piper Green Fan and have the second in the series sitting beside me. Book Uncle and Me looks like a fabulous title for young student activists! Piper Green is such a realistic character. She's funny, but imperfect and that makes her quite charming. Also, when I read it I want to go live on Peek-a-Boo Island. I love the setting. I loved Maxi's Secrets, but get the tissues ready! You also have a lot of good looking picture books I'm looking forward to reading. Have a great week! It seems as if every week lately I've had a real tear-jerker on my list. I've been going through the tissues! Hope your week is a good one! Daniel is such a special picture books! I would really love to read Max--I'll have to get it. Great list of books! 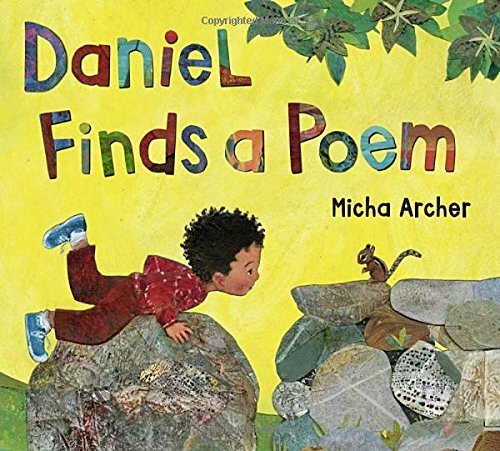 I especially want to get my hands on Daniel Finds a Poem to read to my class.